In our very busy world it’s easy to get lost in the details and demands of everyday living. Fatigued and overwhelmed by the sheer amount of information, the myriad of choices our technologically advanced communication era offers, we lose sight of what life is all about. How do we find balance and harmony in this overloaded world? And how do we navigate life in tune with our soul as well as with modern society? As author Darren Cockburn explains, we are all part of one big universal process that encompasses and connects everything--every thought, emotion, action, nature, all there is. Over the centuries, religions and philosophies have provided direction on how to act ethically and in accordance with this process, yet in our modern world, these “rules” may seem outdated or too rigid. Integrating and updating existing guidance from Buddhism, Yoga, and other great teachings, the author offers 7 guidelines for living a life of harmony and balance: honor the body, bring awareness and acceptance into every moment, act with kindness, understand the truth and communicate it skillfully, do only what needs to be done, harmoniously obtain and retain only what you need, and apply the guidelines to your digital device usage. He illustrates how and why each of these guidelines hold value, revealing their interconnections, and explains how to implement them practically in daily life, sharing real-life examples as well as practices to support each guideline and deepen your existing spiritual practice. The author explores how the 7 easy-to-practice guidelines help us gain a deeper understanding of the universal process of life, as well as provide a set of tools to help us deal with life’s ups and downs more skillfully. They enable us to face life empowered and confident, peacefully observe and accept what life presents us with, cultivate compassion and kindness, as well as spread mindfulness to those around us. 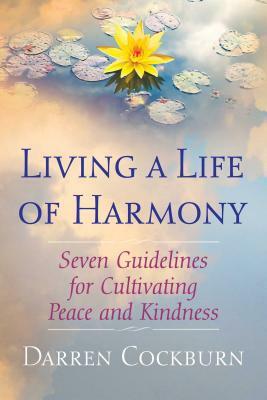 Practiced together, these guidelines provide a simple yet powerful compass to guide you to a peaceful mind and harmonious living, much needed in today’s world.